The publication of The Ingenious Gentleman Don Quixote of La Mancha in 1605 may have marked the greatest and most far-reaching literary event of all time. If you could read you bought a copy or a copy was passed along to you. If you could not read you gathered with friends or strangers and listened to someone read the marvelous tale aloud. Everyone recognized the characters without fail. Miguel de Cervantes Saavedra was a soldier, adventurer, prisoner, and debtor, far removed from the traditional literary life of the Renaissance or Spain’s Golden Age and their styles and themes. A contemporary of William Shakespeare, Cervantes’ name was far better known to their contemporaries and still today we know more factual information about him. In one of those curious twists of fate, based on more recent research, Cervantes was buried on the day that Shakespeare died. 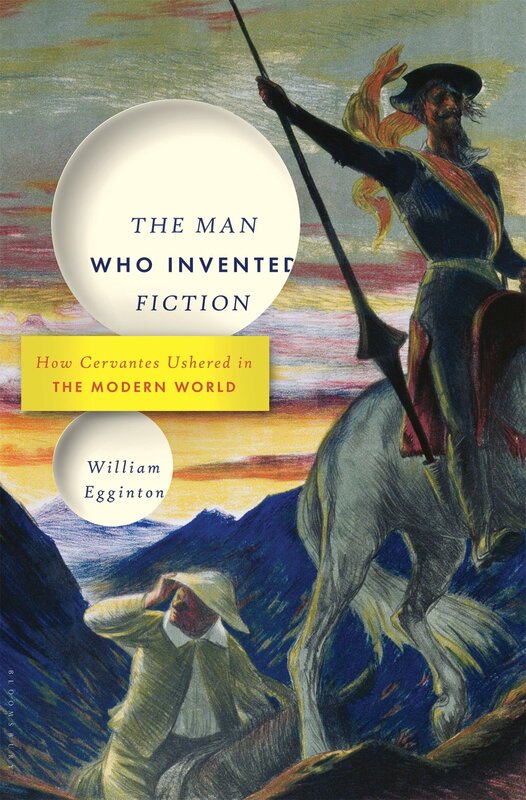 Egginton persuasively argues that Cervantes so fundamentally changed the contemporary concept of “fiction” that he propelled the genre in a completely different direction, giving birth to modern writing. In his day literary fiction revealed a lie, something invented with no pretense of truth. Histories provided a perceived truth; everything else, even fiction, could delight but it had to provide moral instruction as well. Today’s reader understands that fiction is not true but is willing to suspend disbelief to “live” inside the world of the fiction. Therefore, modern readers are both outside and inside the tale. We know it is false, but we accept the premise that makes the story work. Egginton has written a very accessible and well-reasoned argument to support his thesis that Cervantes changed the way of writing. This is not a biography although biographical and historical details provide shape and strength to his belief. An extensive bibliography will lead the curious reader into additional avenues for personal examination. The notes, which receive a separate section, can often be read on their own. The long note about the “intercalated tales” discusses both why they are criticized and why they are truly central to the narrative. William Egginton is the Andrew W. Mellon Professor in the Humanities and a professor of German and Romance languages and literatures at the Johns Hopkins University with an emphasis on the relationship between philosophy and literature. This is his sixth book. He has written or contributed to books about religious moderation, perversity and ethics, and how the world became a stage. This convincing contribution to literary criticism reveals the rare scholar who can write for the public while adhering to strict literary standards. William Egginton persuasively argues that Miguel de Cervantes fundamentally changed the contemporary concept of fiction, giving birth to modern writing.